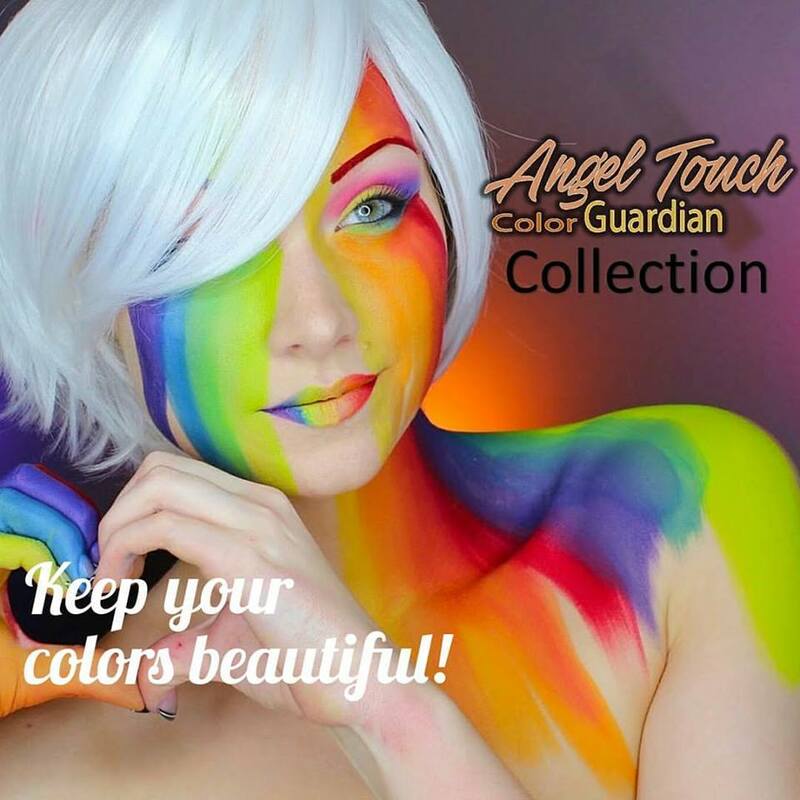 ANGEL TOUCH COLOR GUARDIAN NOURISHING CONDITIONER is KERARGANIC’s newest COLOR PROTECTIVE SYSTEM engineered to care for colored hair, repairing damages caused by chemicals and the environment. Carefully formulated with unique natural oils and extracts, vitamins and proteins it nourishes the hair, replenishing lost nutrients, giving the hair elasticity, strength and brilliancy while controlling undesired frizz. Powered by SME253 ANTI-FADE COMPLEX. After washing hair with KERARGANIC’S ANGEL TOUCH COLOR GUARDIAN NOURISHING SHAMPOO, apply ANGEL TOUCH COLOR GUARDIAN NOURISHING CONDITIONER to entire hair, massaging thoroughly. Leave it on for about 5 minutes for deep absorption. Then detangle and rinse.